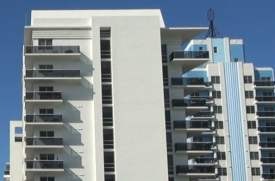 Tequesta, Florida Condo Association Owners Insurance in Tequesta Florida - Palm Beach Insurance Associates, Inc.
Palm Beach Insurance Associates, Inc. understands the risks and decisions that follow finding insurance for your Condo Association. We can explain your options for your condo association or homeowners association insurance packages. We provide condo association insurance in Tequesta, Florida including the Hobe Sound, FL, Palm Beach Gardens, FL, Palm Beach, FL, Tequesta, FL, and West Palm Beach, FL areas. Let a professional agent at Palm Beach Insurance Associates, Inc. answer your questions today. Palm Beach Insurance Associates, Inc.
Site by: AlicorSolutions.com •et; © 2019 Palm Beach Insurance Associates, Inc.